The World’s MOST WANTED BUG! 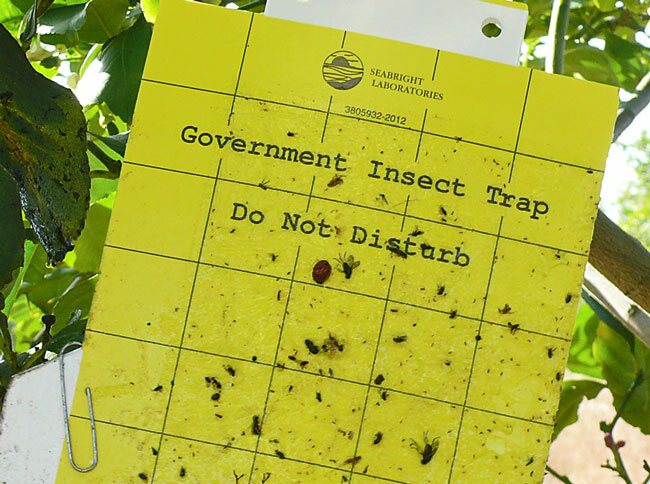 Have you seen the Asian Citrus Psyllid? 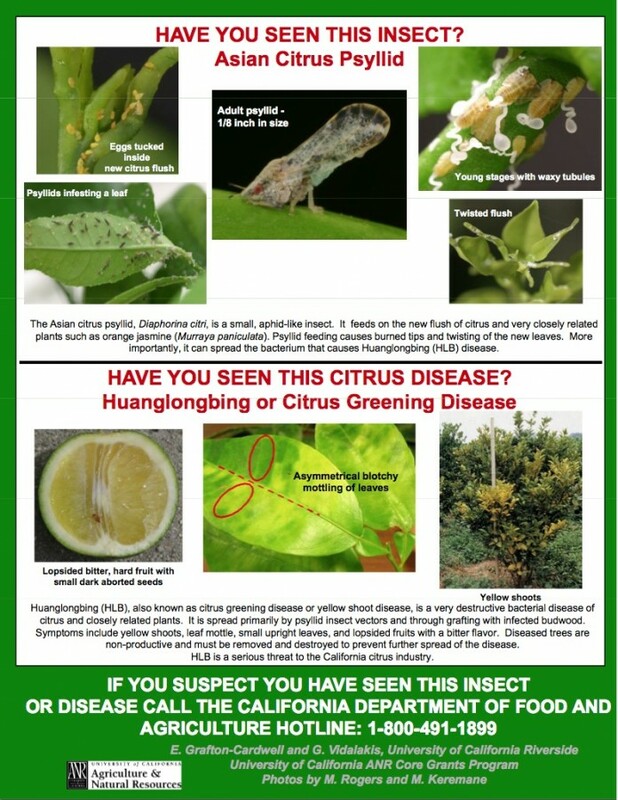 You may remember hearing that the Asian Citrus Pysllid was found recently in Hacienda Heights (suburb of the San Gabriel Valley in LA County) generating renewed concern about the possible spread of the devastating and incurable citrus disease, Huanglongbing or Citrus Greening Disease which could desecrate our 1.2 BILLION dollar citrus industry in California as it has in Florida. First arriving in the U.S. in Florida in 1998 (not detected until 2005), Huanglongbing originated in Asia and identified in China as early as 1919. The history of this disease is long and its effect devastating. Pakistan, as well as in Saudi Arabia, Mauritius, Reunion and most recently in Papua New Guinea. Africa – now occurs at higher cooler elevations throughout eastern and southern Africa, and in Yemen and the Indian Ocean islands. Micronutrient Deficiency Can Look Like HLB Infection – Agriculture and Natural Resources, University of California.